I love Jane Austen. I mean, at this point, are there many of us who do not know her virtues? There’s a whole cottage industry devoted to her that seems to grow bigger by the year (given a big assist over the last two decades by, let us admit, a certain wet garment worn by one of her heroes). She is a part of many readers’ coming of age reading, and her wry social commentary goes hugely imitated to this day. And how could we forget there the massive numbers of sequels, prequels, alternate-perspectives and, of course, zombie-crossover novels that have used her characters as their starting point. But long before Elinor encountered a sea monster and Lizzie fought zombies, there was another author who may have helped to start it all. 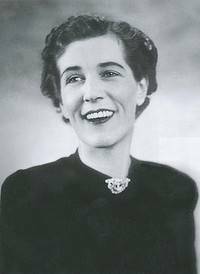 Georgette Heyer was an English mystery, romance, and historical novelist of the early 20th century. Her novels have many times been called the next-best thing to reading Jane Austen, and it’s not hard to see why. Her stories are set in the same Regency England, filled with the sort of wit and humor that characterized Austen’s characters, dealing with the same issues of money, appearance, social class and convention that her characters struggled with. She also seemed to understand that Austen was about far more than the romance of two people ending up with each other- she was also about societal commentary and genre deconstruction (if you’ve never seen that last from her, check out her incredibly fun early novel Northanger Abbey). Heyer, is, of course, not Austen (and who could ever be?). She is, in general, a lighter-hearted version of her (which is not to say that some dark issues aren’t dealt with in certain novels). She’s in it as much or more for the jokes and pratfalls and the ridiculous character studies as anything else- she loves poking fun at the poses that people strike and the ridiculousness that people at that time took seriously. Many a gothic hero is set up to look ridiculous and get his comeuppance, many a silly romantic maiden is given the indulgent, but wiser eye that you might expect of a mother figure. Character types recur through her novels, like the farcical archetypes you expect to see again and again in 17th century comedies and commedia del’arte plays, and some iterations are of course more successful than others. But be not afraid. She demonstrates that she teases with love more than once-her heroines indulge in gothic fantasies, in heroic war narratives, in spies and whodunnits with glee on more than one occasion. Heyer is, I assure you, laughing right along with the reader. Cotillion If there was ever such a thing as a perfect farce, this is it. I’ve never understood why it isn’t a widely performed play. The plot centers on Kitty, who is the adopted ward of the family’s wealthy Great Uncle Matthew- to whom, it is expected, he will leave his large fortune. However, he stipulates, he will only do so if she marries one of his great-nephews, of whom he has quite a large and hilarious collection- from a stiff, prosy clergyman to a penniless Earl with limited mental capacity (but strong passions), a society dandy named Freddy, and the dangerously Byron-like Jack. Kitty, of course, complicates matters by contracting a fake engagement to one of them while she bides her time, and hilarious hijinx ensue. I laugh through the whole book every time I read this. The Masqueraders: This is another trip of pure self-indulgence for Heyer, and set earlier than many of her Regency novels. Set just after the ’45 Rising, this tale is about a brother and sister pair of former Jacobites who are hiding their identity in order to be accepted by Georgian society…. in part by changing their genders. Obviously, in the midst of their cross-dressing gambit, they discover love and complications follow! This book one of her most memorable characters (in the form of Prudence and Robin’s scoundrelly father), more than one abduction and an honest-to-god-no-irony duel. I wanted to boo and hiss and scream as I read it like an 18th century audience member. It’s pure fun from beginning to end. The Talisman Ring: If you like your self-indulgence with a bit more of a cynical eye, then this one is for you. This features one of Heyer’s older, sensible female protagonists with great intelligence, quiet twinkle in her eye, and an even quieter taste for romance that you would never guess. This the story of a very sensible main characters finding themselves in the midst of a Gothic tale that they can’t seem to get out of- involving a long-ago murder, an exiled heir, smugglers and thieves, and a dramatic, passionate girl who is all too eager to be a proper heroine. Sarah is one of my favorite Heyer women- this is a tale of two people who meet quite unintentionally, but laugh so much together that it’s clear they’ll never be separated again. The Grand Sophy: Speaking of Heyer women I love, Sophy is a force of nature. She is the only child of a British diplomat, and has been raised here and there about the continent throughout the Napoleonic wars. With peace finally upon England, she has come home to stay with her aunt while her father is sent abroad. As it turns ou,t her aunt’s family is greatly miserable and greatly in need of aid… poor darlings. And guess who is just the person to fix it? That’s right: The Grand Sophy. I don’t even want to tell you any more except to guarantee you a wonderful hate-him-until-I-love-him type love story and one of the most satisfying, they-did-it-to-themselves endings I’ve ever seen. There are of course many more, but start there. I am almost sure you won’t be disappointed. Other Heyer readers- chime in below with your favorites! Which ones did I miss that others should read?